If this vans a rockin, don't wake up the Cylon who lives on the inside because he will zap you like the brainless automaton that he is. 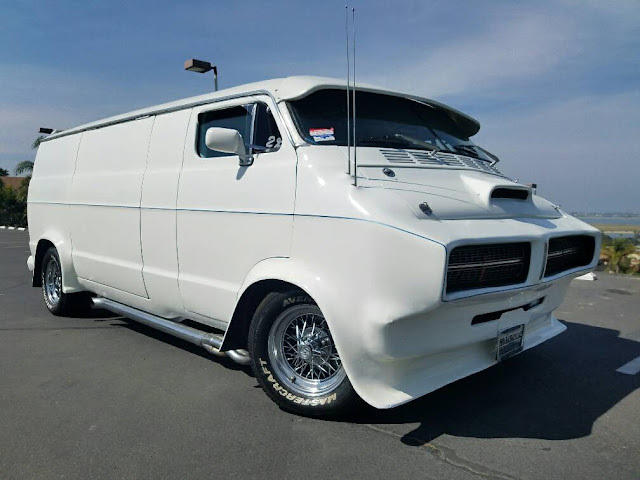 Find this 1976 Dodge B200 offered for $12,000 in San Diego, CA via craigslist. Tip from SeanT. What's behind the door. No...not the swing-up-and-open outside door, but the little hobbit door surrounded by tin foil? Yeah. Don't open that door. That is pretty wild. 1972 charger front end? 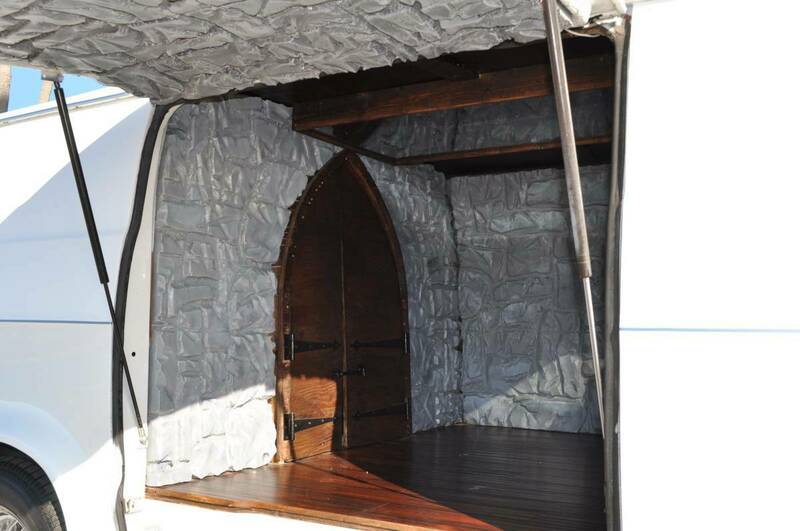 I bet you can fit all your LARPING stuff behind that hobbit door. "Every time I take it out people are taking pics..."
This or the Dumb and Dumber Mutt Van....I ate a all U can eat Charger for Lunch.